We love maths and love Sumblox even more! 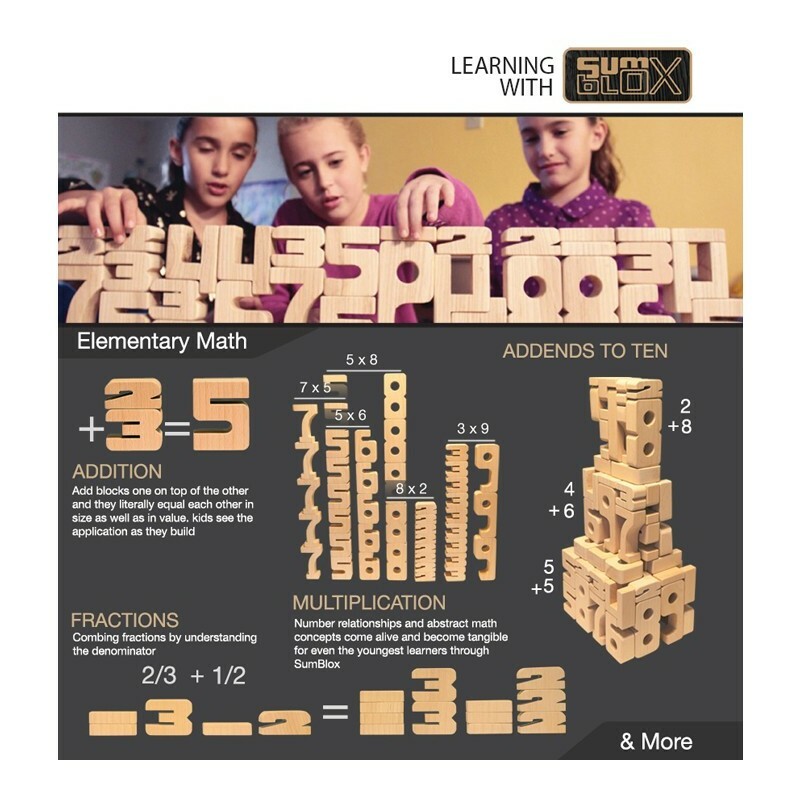 SumBlox is a revolution in early Mathematics that grows with your child. Height of the blocks corresponds to the value of the numbers. Works for Addition, Subtraction, Multiplication, Fractions - some teachers are even teaching Year 6 Algebra in Australia with them. Comes in Home Kit and Educational Kit. Buying this product = 219 Reward points for Members. Your cart will total 219 points = voucher of $10.95. Not a Member? Join at checkout to claim these points. Sumblox was invented by David Skaggs as a way to envision numbers the way he did when doing arithmetic in his head. David imagines combinations of numbers with actual height value and then stacks those numbers to find the sum. He says "I am obsessed with combining numbers to create 10, something that helps break down problems quickly. After examining these aspects I realised that the skills involved in simplifying problems were all based on stacking numbers and understanding how they relate to each other. Taking these concepts and applying them to a stacking game seemed to fit building blocks extremely well". Designed for durability and use for generations. Made from sustainable Beech hardwood. Set includes either the Home Kit (43 blocks plus a folded Activity Card - not the booklet in the photo), or Educational Kit (100 blocks plus 4 teaching aid booklets). 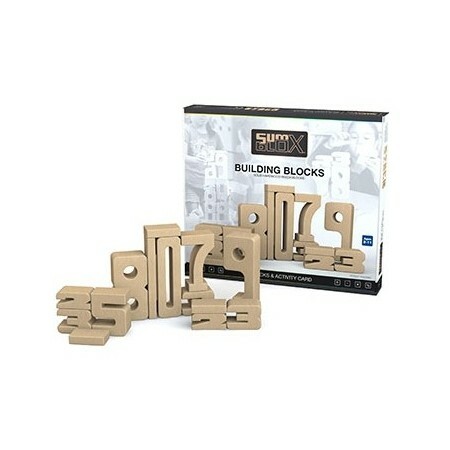 Blocks range from 3cm x 6.5cm to 16cm x 6.5cm. Solid Beechwood. Browse our other Wooden Toys. 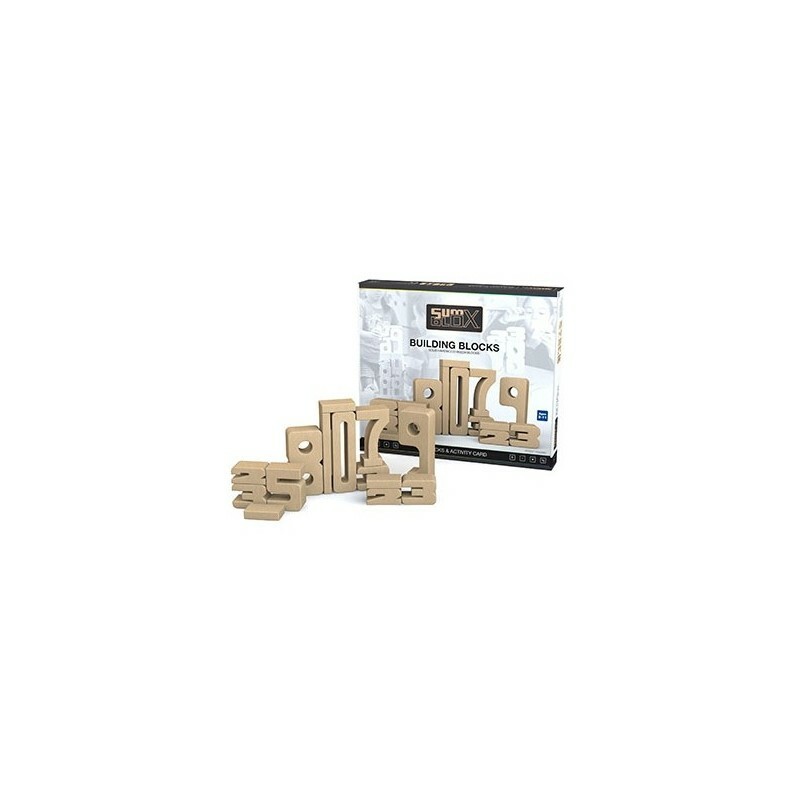 We love wooden toys at home and this set didn't disappoint. 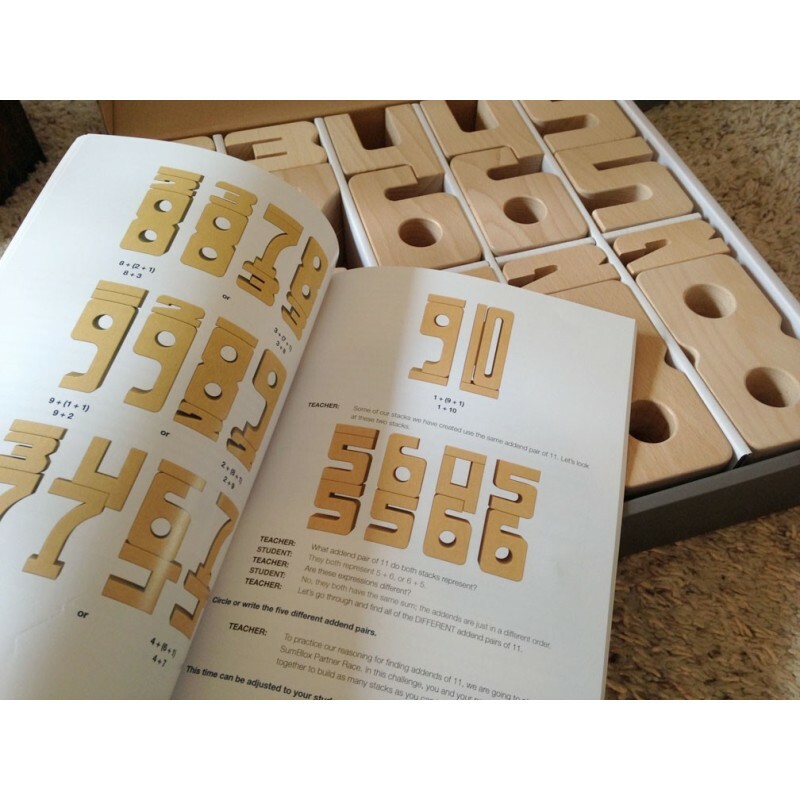 Really sturdy, wooden numbers, easy to teach kids to add/ subtract, count, etc. using play based activities. My toddler also enjoy stacking them and counting them. It is definitely built to last so I think it is worth the money.